Roman is Economic Leadership Program Manager under which Western NIS Enterprise Fund implements a series of projects such as the Ukrainian Leadership Academy, SEED Grant, and the Corporate Governance Development Program. Roman has a bachelor’s degree in Economics from Kyiv Mohyla Academy and a master’s degree in science economy and innovation from Barcelona Graduate School of Economics. He was a co-founder of the Open University of Maidan during the Revolution of Dignity and managed the project fundraising. In 2005-2008 Roman initiated a series of fundraising projects to help families with children suffering with oncological and neurological diseases. This allowed four children undergo medical treatment abroad. 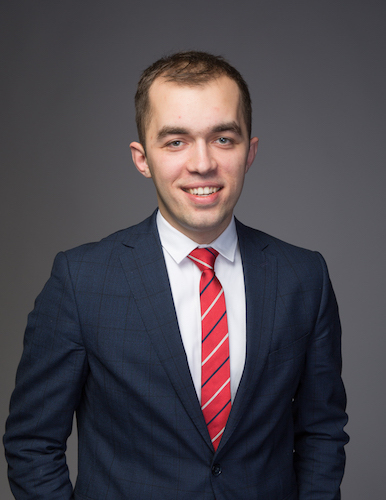 Roman worked as Coordinator for Canada-Ukraine Parliamentary Program, which gives Ukrainian students the opportunity to study under a three-month internship program in the Parliament of Canada. Also, he was an assistant to the Member of the Parliament of Canada Corneliu Chisu. Previously, Roman worked in business consulting for foreign companies in Ukraine. Roman also has experience as a Project Manager with Holding of Emotions! FEST (Lviv) – a network of conceptual restaurants and projects that promote tourist destinations in Lviv and Ukraine. In this capacity, he was involved in the development of franchising projects and partnership network in Ukraine and abroad.